Born in the capital city of the commonwealth state, Richmond, Virginia, Angela B spent her childhood in Prince George, Virginia being raised by her grandmother. As an adolescent in Elementary school Angel B found herself standing out amongst her peers through her diverse choices of her everyday attire. Initially looking up to an older cousin she realized that one’s style cannot be duplicated which in turn led her to transform a style once admired into her own. Like most careers in the entertainment industry fashion wasn’t an accepted life path by the people around her which in turn led her to study another passion, Psychology. After years of desiring to work in the field of her choice she finally decided to take a leap of faith and take the fashion world by force. Similar to her current role model, June Ambrose, Angela B possesses the heart, passion, and precision necessary to style some of Richmond, Virginia’s elite. With clients such as Ms Proper, Tre No Y, Yoshiko of Yoshiko Entertainment, and model Chantel Williams the Angela B brand is steadily building with no signs of slowing down. After helping out with Richmond’s infamous “RVA Fashion Week” Angela B is now a fashion writer for both Rated R Radio at www.RatedRRadio.tumblr.com and #FeelMyAura at www.FeelMyAura.com. With her newly created company, The Monroe Touch, Angela B aspires to expand her brand by not only extending opportunities to upcoming stylists, make-up and hair stylists, and models. 3375 What does fashion mean to you? ANGELA Fashion meanseverything to me. It’s not just about putting together an outfit that matchesand being satisfied with that. I believe that it is truly expression ofcharacter. Most of your energies, thoughts, and feelings project throughclothing. Dressing up is like decorating one’s body. So fashion means art tome. It is very important in my life, because I am an artist. 3375 How long have you been a fashion stylist? 3375 What led you to your career as a fashion stylist? ANGELA It was really thepeople around me. Everyone comes to me when they don’t know what to wear for anevent, when they want to shop and do something different with their wardrobe.So I came to a point where I was like I can do this as career and make a livingdoing something I love. 3375 What are the top three tips you offer new and old clients? ANGELA Always aim to dosomething different with your look, shock value is a great way to sellyourself. Trust your stylist and always think outside the box. You can alwaysre-create your style! 3375 With the weather getting warmer what are some new trendsyou see popping up? ANGELA Colored denim is atrend that is everywhere all the style blogs are raving about it and it is agreat trend because you can dress it up or down! Also Maxi dresses for theladies! 3375 What do you love most about your job? ANGELA I love artistry andcreative aspect of it .I love factthat I get to help people create and re-create their own sense of style. 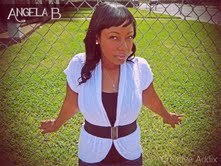 Iintroduce new looks and images that people are afraid to try themselves or theynever thought would work for them. Seeing them trusting me with their image andletting me help them tell their story through fashion is amazing to me! 3375 Where do you get your inspiration? ANGELA I get inspiration from everywhere! Books, magazines, the people around me. Usually when I seesomething I like I re-create it and it never turns out the same but it turnsinto my own creation. ANGELA Marilyn Monroe. I LOVEthis woman. She exemplifies beauty, charm and such grace it amazes me! Career wise June Ambrose is my topinspiration. She is passionate and takes wardrobe styling to a whole new level.She puts her all into it. Love her! 3375 How would you define the style your work exemplifies? ANGELA My work exemplifies creativity, passion and fun! I try toput a little of everything in what I do! 3375 How would you define your personal style? ANGELA My personal style hasno definition. I don’t have a certain type of look. One day you can catch me ina dress and the next day I may have on big cargo shorts or something youtotally wouldn’t expect me in. SO even I can’t put a definition on it. It’sawesome!!! That’s how I describe it. Weird to the natural eye but awesome. 3375 Where are you based? ANGELA I am based out Richmond Virginia. RVA is my home and I love it!!! 3375 What’s it like being where you’re from? ANGELA It’s great! There aregreat people here. You have to have tough skin at times but it’s a great cityto get started in and there is lots of art, and culture here. You just have tolook and take advantage of what the city has to offer. 3375 How would you define your city’s fashion? ANGELA My city’s fashion is crazy. I am inspired to take my camera out especially when I am in the citybecause there is so much great fashion there. There are really no words todescribe it you have to see for yourself. 3375 What would be your advice to girls starting out in thefashion industry? ANGELA My advice would be todefinitely do your research about the fashion industry. Make sure it’s what youwant to do because you have to start from the bottom, be humble and know thatit takes work to get where you want to go. Also have a clear definition of whatyou want to do. 3375 How do you see your career evolve in the near future? ANGELA I see my careerexpanding further than I can imagine! I know there are some wonderful things instore for me, just because I have met and networked with a lot of wonderfulpeople. I also have a great team and management behind me so I can only expectthe best! 3375 If you could pick 3 fashion must-haves that every womanshould own, what would they be? ANGELA Every woman should owna basic pair of black heels, a black cardigan and a hat for bad hair days! 3375 What’s a great fashion tip that you can share with 3375? 3375 What’s the most important lesson that life has taught you? ANGELA Life has taught methat you have to be prepared for the ups and the downs. The bad times humbleand prepare you for what God has in store for you. So no matter how bad itlooks pray and keep moving forward! 3375 Is there anything else you’d like to let our readers knowabout? ANGELA Just follow your heartand do what makes you happy! Never give up on your dreams. 3375 Where can we find out more about your work? Shoutout to Ms Proper and So Proper Entertainment and the entire Rated R Radio team!! !